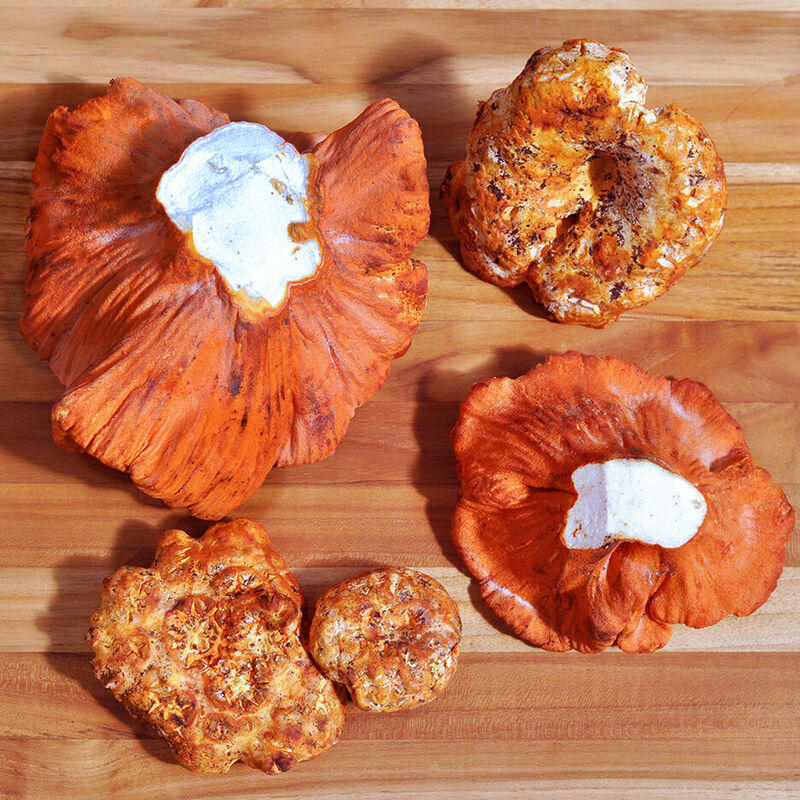 Fresh Lobster mushrooms, wild foraged in the USA, hard-to-find, available seasonally. Extremely delicate in flavor and meaty in texture, the lobster mushroom is actually not a mushroom at all, but rather is a parasitic fungi that engulfs other mushrooms. Available only in mid-summer, the lobster mushroom has a slightly salty-sweet taste that goes well with stir-fries, soups, stews, terrines, and egg dishes. D'Artagnan offers a variety of wild and cultivated fresh mushrooms and truffles year round. For wild mushrooms, we partner with foragers and follow the seasons around the world. In addition, expert cultivators grow organic mushrooms for us in pristine and optimal conditions. We also preserve the flavors of the season with our dried mushroom offerings. Our truffles are foraged seasonally in France and Italy, and when those are done we source farmed truffles from Australia, which lengthens the season for these fragrant delicacies.